This has been a lousy week for Barack Obama, Nancy Pelosi, Harry Reid, and Rahm Emanuel. That makes it a great week for the United States of America. With the election of Scott Brown to fill the Massachusetts senate seat previously held by Ted Kennedy, the democrats lost their “super majority” in the US Senate. 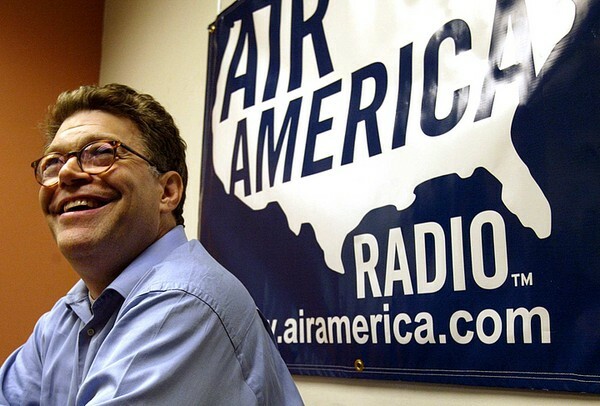 This was also the week that bankrupt liberal talk network Air America finally “pulled the plug” for a lack of listeners and advertisers. Later in the week, Nancy Pelosi informed the media that the US House of Representatives doesn’t have the votes to pass the Senate version of health care reform. White House spokesman Robert Gibbs ended up admitting that the best approach is “giving this some time, by letting the dust settle, if you will, and looking for the best path forward.” Can you imagine that? The health care bill that was being jammed down our throats last week behind closed door meetings is somehow now going to take more time. Thank you Mr. Brown. On election night I flipped back and forth between the ultra liberal MSNBC and the ultra conservative FOX News. Rachel Maddow, one of Air America’s first hosts, who now has a television show on MSNBC, appeared very uncomfortable as Brown pulled ahead as the votes were being tallied. I think I saw Ms. Maddow throw up in her mouth. Meanwhile the FOX people were gloating about the glorious future of the Republican Party. I don’t know how uncomfortable Ms. Maddow was on Tuesday evening, but thinking about the Republican Party made me feel just about as sick. Despite the setback that liberals (they call themselves “progressives”) have witnessed, they still believe that the main problem is that government is ineffective. The man on the street doesn’t see it that way. He believes that the problem isn’t how government performs, but the fact that there is too much government. Citizens in Massachusetts told the democrats last week that they want less government, more liberty, and more of their own money to spend. They want their businesses to be free from energy taxes, healthcare mandates, “tax the rich” schemes, and government programs that mandate which industries should expand and which ones should contract. In his state of the union message on Wednesday evening, Obama will tell us how fortunate we are that he led us out of the financial crisis of a year ago. He will blame most of that crisis on his predecessors. He will say that jobs are now his priority and will tell us how the US government is going to create millions of “green” jobs. Therein lies the big fallacy; government can’t create sustainable and productive jobs. It never has and never will, no matter how much printed or borrowed money is thrown at the problem. The way to create meaningful jobs is to allow entrepreneurs to keep more of their own money and let the market work. Free markets and free people have created the greatest economic engine on the planet. While government sets the rules for us, it should be limited in its scope. When government does act, it should be to make markets more efficient, not to impede them. When you want something to happen, you provide incentives, not disincentives. How do Obama and his crew expect people to create jobs when they continue to hammer every job-creating activity known to man? Wednesday we will hear more of the same charismatic nonsense from a President who is neither knowledgeable nor competent when it comes to economic affairs. Obama and his crew are bonafide job killers.